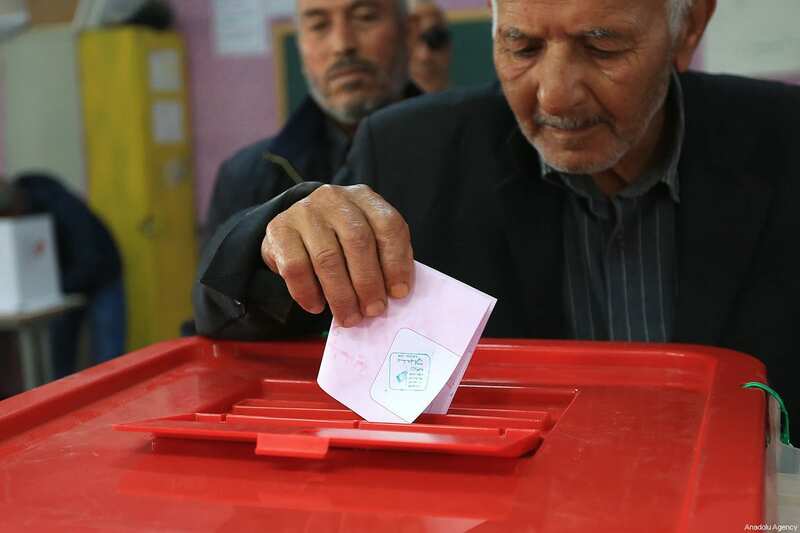 Tunisians voted on Sunday in their first free municipal elections, another step in a democratic transition that has become marred by disappointment over a lack of jobs and economic opportunities. 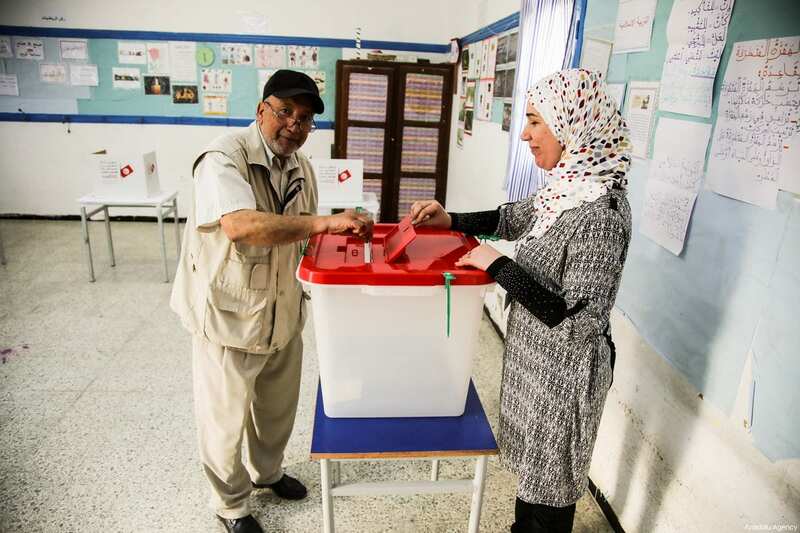 Ennahda and Nidaa Tounis parties, which form a coalition at national level, are expected to dominate the polls for 350 municipalities. 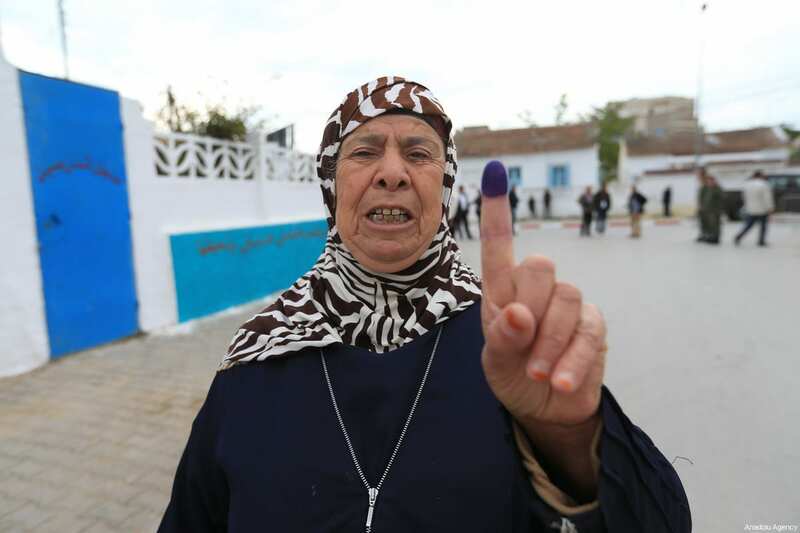 Tunisia has been hailed as the only democratic success of the Arab Spring because it toppled a long-serving autocrat, Zine El Abidine Ben Ali, in 2011, without triggering major violence or a return to authoritarian rule. 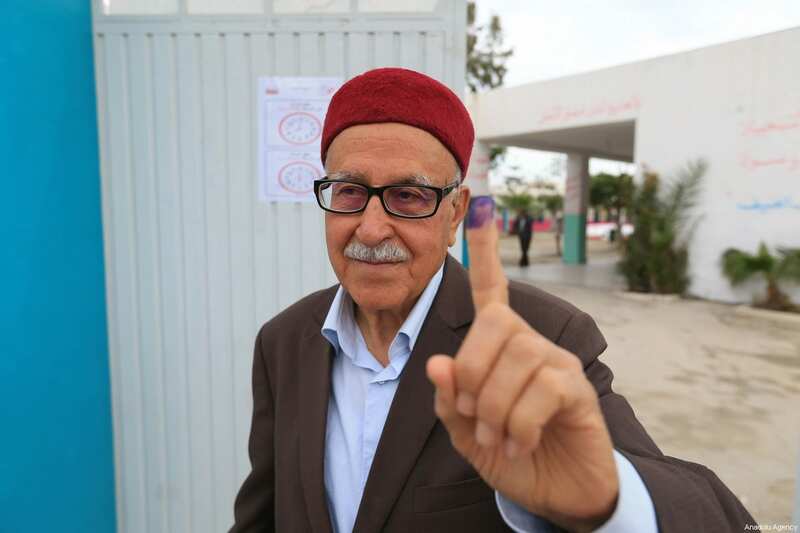 The turnout in three polling stations visited by Reuters in the capital Tunis in the morning was weak with mostly elderly people voting while young people were sitting in cafes nearby. A new law envisages some decision-making being gradually devolved to the local level, though it remains unclear how it will work in practice. This comes on top of billions of dollars in loans from the International Monetary Fund and various countries to help plug a budget deficit caused by political turmoil and one of the world’s highest public sector bills. The leader of the Tunisian Journalists’ Syndicate has accused political groups of having a “tendency” to deny press freedom. Naji Baghouri made his comments during a seminar on the occasion of World Press Freedom Day last Wednesday. Imad Al-Hazki, meanwhile, said that, “A new bill to protect personal data, which is being prepared by the government, will constitute a violation of the principle of access to information because it does not distinguish between private personal data and data contained in public documents that relate to public affairs.” The head of the independent National Authority for Access to Information stressed the need to review this bill in order to preserve the gains made regarding access to information approved by Tunisian law. A report by Reporters Without Borders ranks Tunisia 97th out of 180 countries in the 2018 Press Freedom Index, which is the same ranking it occupied last year. The Tunisian Centre for Freedom of the Press has revealed that nearly 70 per cent of Tunisian journalists do not have access to information even though in 2016 the state parliament ratified the first law to allow access to information from the authorities. The government in Tunis, however, announced earlier its commitment to allow journalists to have access to information so as to keep citizens informed through the best protocols. It explained that this would happen within “the ethics of public officials” — guidance issued in 2014 — whereby information or official documents on subjects of interest to the public will not be disclosed without the prior permission of the duty official’s immediate supervisor. Tunisian former Interior Minister Najem Gharsalli was sentenced to prison on Friday, following investigations on conspiracy against the state’s internal security. The investigative judge heard Gharsalli on Thursday for long hours on the background of his communication with foreign parties. Tunisian authorities informed, last Monday, Gharsalli that he must return to Tunisia in 48 hours. On Aug. 23, the investigation judge suggested hearing the testimony of Gharsalli regarding the case of conspiracy against the state’s internal security and high treason against Chafik Jarraya and Saber al-Ojaily. On another level, security syndicates held several protests and called on all security men to hold red signs to express rage over recurring attacks on security men, especially after the number of deaths since December 2012 reached 66 cases until today under the campaign to fight terrorism. Syndicates granted the parliament 15 days and threatened to lift security protection of members of the parliament and heads of parties starting Nov. 25 in case the law wasn’t enacted. President Beji Caid Essebsi asked Tunisia’s Prime Minister Yousuf Chahed to take care of the deceased officer family and to place the bill as a priority. 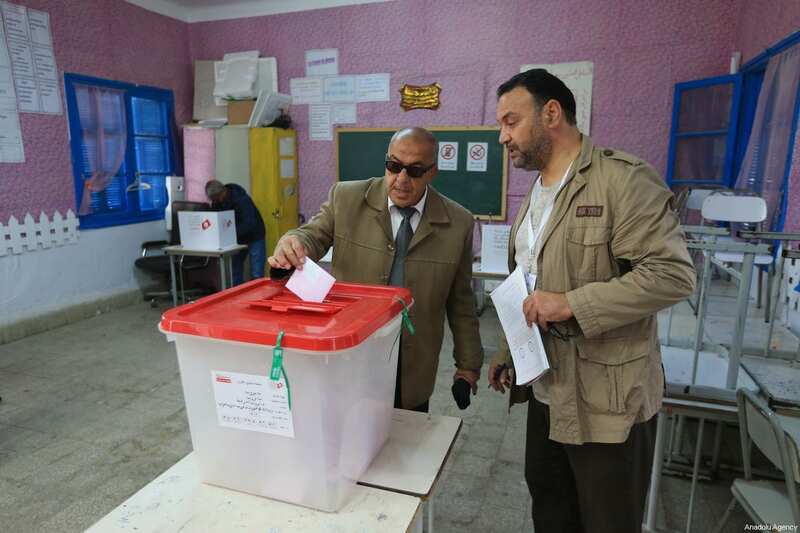 Observers criticized the back and forth pulling between the parliament and security syndicates – they considered it as an arm twist for the parliament and a revolution on the ministry of interior. Security expert Noureddine al-Nifer stated to Asharq Al-Awsat that the security men are in need of a law that protects them but the political dilemma is represented in terrorism threats, which haven’t been socially removed yet. Four independent Tunisian bodies have rejected remarks by President Béji Caid Essebsi in which he said they “operate without censorship”. The High Independent Authority for Audiovisual Communication, the Higher Committee for Human Rights and Fundamental Freedoms, the National Anti-Corruption Commission and the National Committee for the Prevention of Torture released a joint statement in which they described Essebsi’s remarks as “a dangerous indicator that threatens democracy in Tunisia”. The statement stressed that the organisations work in accordance with the laws in place and called on the Parliament, political parties, civil society and trade unions to “be vigilant and stand together against these dangerous trends”. 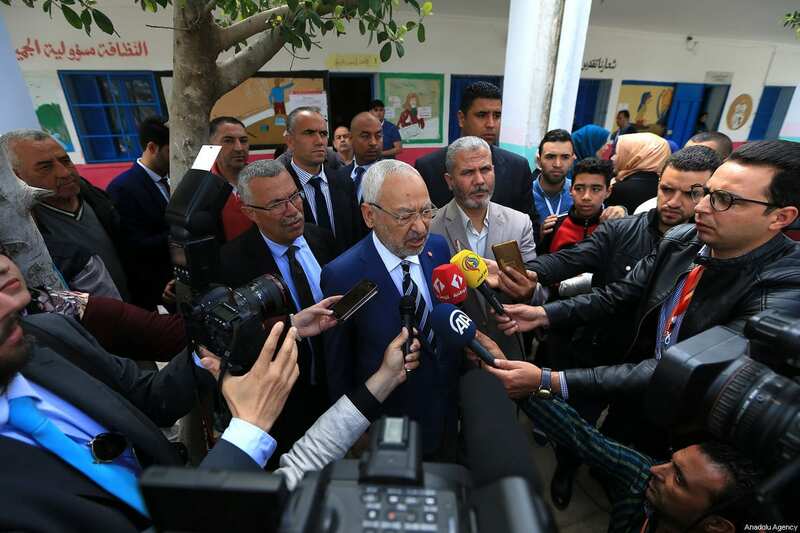 In an exclusive interview with the state-owned Al-Sahafa newspaper last week, Essebsi said Tunisian independent bodies operate “without any censorship” and “under the name of independent absolute powers”. The president said that sovereign bodies and institutions such as the Parliament have turned into mere organs to recommend decisions for these bodies. Tunisia- The Tunisian government lifted on Thursday the ban on Muslim women marrying non-Muslim foreigners, a step that triggered a legal and social controversy among conservative Islamic blocs and liberal and left-wing blocs. “Congratulations to the women of Tunisia for the enshrinement of the right to the freedom to choose one’s spouse,” presidency spokeswoman Saida Garrach posted on Thursday. The announcement came a month after President Beji Caid Essebsi called for the government to lift the ban dating back to 1973, preventing Muslim Tunisian women from marrying a non-Muslim. In a related matter, the opposition and civil society in Tunisia have expressed concerns over the democratic transition after the parliament enacted a controversial amnesty law for those involved in corruption during the former regime term. The bill grants an amnesty to businessmen and Ben Ali officials on trial for corruption, in exchange for returning ill-gotten money plus paying a fine. In the face of growing public anger, the text was revised to cover only officials accused of involvement in administrative corruption, not those who received bribes. The presidency defended the law, saying it would enhance the investment climate in a country undergoing an economic crisis. “The law applies to around 2,000 senior officials who did not receive any bribes,” cabinet director Selim Azzabi said to AFP, adding it would affect people who “received instructions and applied them without profiting.” He said the law could boost Tunisia’s economic growth up to 1.2 percent. Others say it could even represent a return to authoritarian practices. Amna Guellali of Human Rights Watch said the law “risks perpetuating practices inherited from the old regime” and places the young democracy on a bad slope. Nidaa Tounes, which includes members of the former regime, welcomed the adoption of the law as it paves the way for a new stage of reconciliation and union. 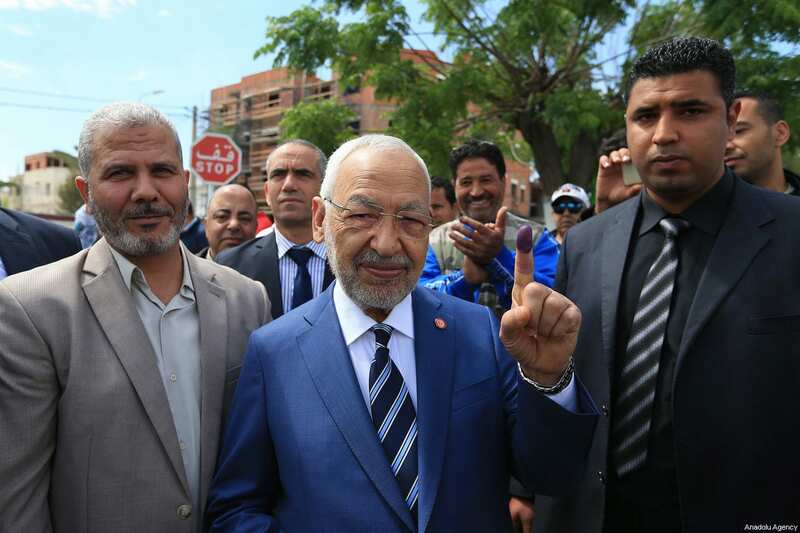 “Ultimately, Ennahda – despite being the party most persecuted by the old regime, including old regime officials likely to be amnestied by the Reconciliation Law – prefers to preserve coalition with Nidaa Party,” Marks said. 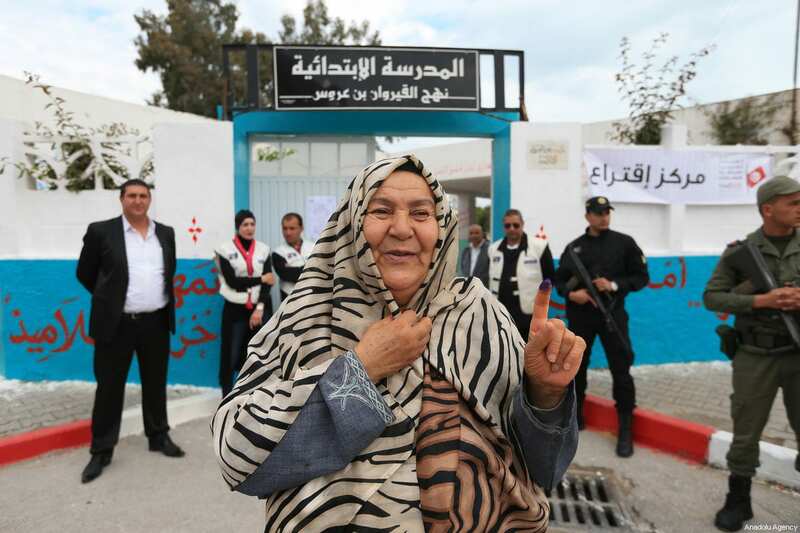 Tunisia- Stances expressed by Ennahdha Party and Al Nidaa Party have revealed a huge difference in points of view towards the ministerial amendment that was announced by Prime Minister of Tunisia Yousef El-Shahed, before he delayed its implementation later on. The ministerial amendment has been proposed since April when Shahed dismissed ministers of education, finance and investment. Reliable sources stated that Shahed hasn’t yet finalized the ideal figures to replace the three sacked ministers because of the considerable number of candidacies and pressure from opposition parties. Points of views regarding the ministerial amendment varied between the two parties. 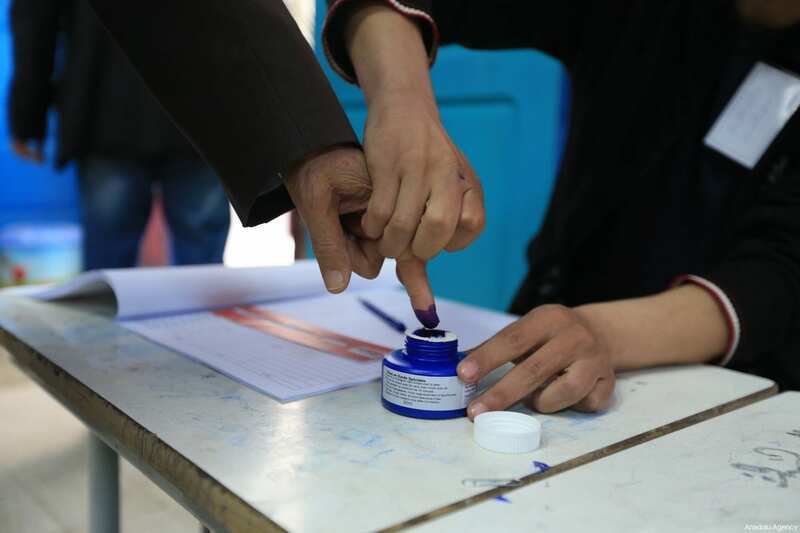 Ennahdha executive office insisted that any vast change in the government formation should be postponed until local elections are completed. Khamiri highlighted that ministers should have the needed qualifications, integrity and transparency. Several political sources told Asharq Al-Awsat that standing in the way of implementing the ministerial amendment and filling the void in the government attributes to Shahed pursuit to assign an expert in economy in the ministry of finance in order to be a strong negotiator with the International Monetary Fund (IMF). Same sources added that Shahed is seeking thorough information from the ministries of interior and justice on candidates to avoid facing challenges similar to that of the Minister of Investment Mohammed Fadel Abdel Kafi who appeared to be facing a lawsuit filed by the Ministry of Finance. Two policemen were wounded and 47 people arrested during clashes yesterday between street vendors and police authorities in the centre of Tunis, according to the Interior Ministry. The incident occurred during a rally of around 300 people outside the headquarters of the Tunisian General Union of Labour (UGTT), the protest was being held against the local authorities’ decision to prohibit street stalls from operating. According to the ministry, the police intervened causing the situation to escalate into clashes with protesters throwing stones at the officers resulting in damaged vehicles. The ministry has confirmed that an investigation will be opened into the clashes. One protester complained about the “showdown” committed by the authorities against the working poor and denounced the failed promises of the governor of Tunis, Omar Mansour. The clashes are believed to be a result of a campaign launched in June against anarchic stalls, which have proliferated since the 2011 revolution in a social context marked by poverty and unemployment. The governorate of Tunis has given street vendors an ultimatum of five days to evacuate the areas. 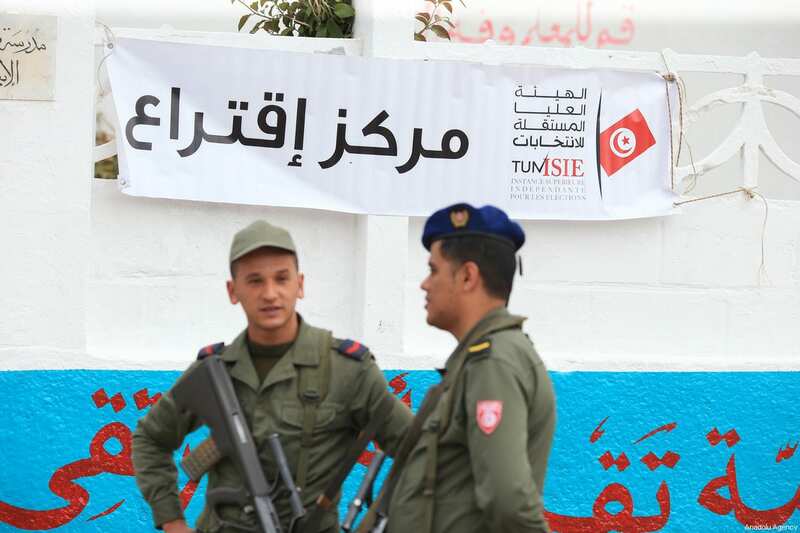 Other municipalities including La Marsa, in the suburbs of Tunis, or Sousse have launched similar campaigns. The former leader of Nidaa Tounes Party, Boudjemaa Remili, has told Quds Press that a number of the party’s senior members are intending to form a new party. Tunisia First looks set to be launched, he said, after efforts to reform Nidaa Tounes failed. Among the dissidents who are founding the new party are Ridha Belhaj, Fawzi Maawiyah, Nasser Shuweikha and Khamis K’ssila, as well as Remili. 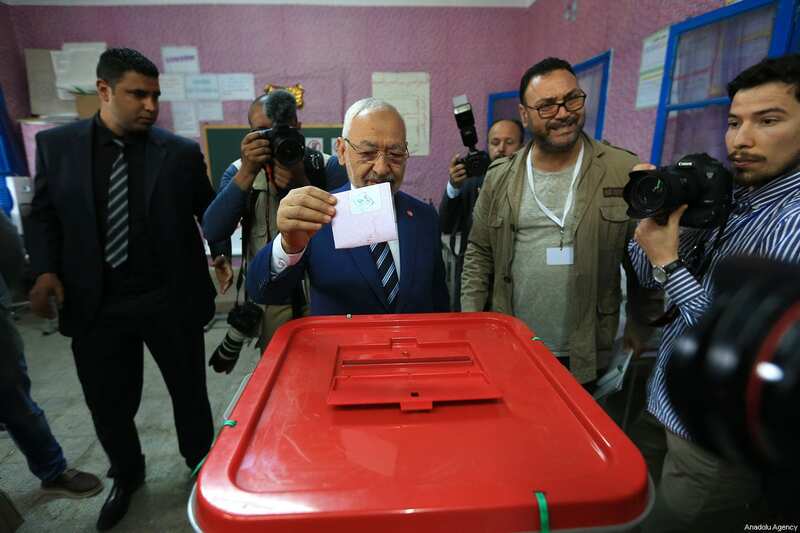 Tunisian President Beji Caid Essebsi was one of the founders of Nidaa Tounes in June 2012 and won the last parliamentary election with 86 seats out of a total of 217. The party was ranked first in terms of MPs, followed by Ennahdha Party, and went on to form a coalition government. Essebsi also won the presidential election in November 2014 to become the successor to President Moncef Marzouki. Since then, Nidaa Tounes has been going through successive crises that some believe are caused by the president’s bid to have his son Hafedh Caid Essebsi “inherit” the party leadership. However, others believe that the crises are a natural result of the heterogeneous mix of ideologies represented within the party itself. As well as independents, communists and former trade unionists from the Tunisian General Labour Union, there are former members of the defunct Democratic Constitutional Rally, which was the party of ousted President Zine El Abidine Ben Ali. The dictator was overthrown by the popular revolution that broke out in late 2010.